My love has been crucified, and there is no fire in me desiring to be fed; but there is within me a water that lives and speaks, saying to me inwardly, Come to the Father. I have no delight in corruptible food, nor in the pleasures of this life. I desire the bread of God, the heavenly bread, the bread of life, which is the flesh of Jesus Christ, the Son of God, who became afterwards of the seed of David and Abraham; and I desire the drink of God, namely His blood, which is incorruptible love and eternal life. 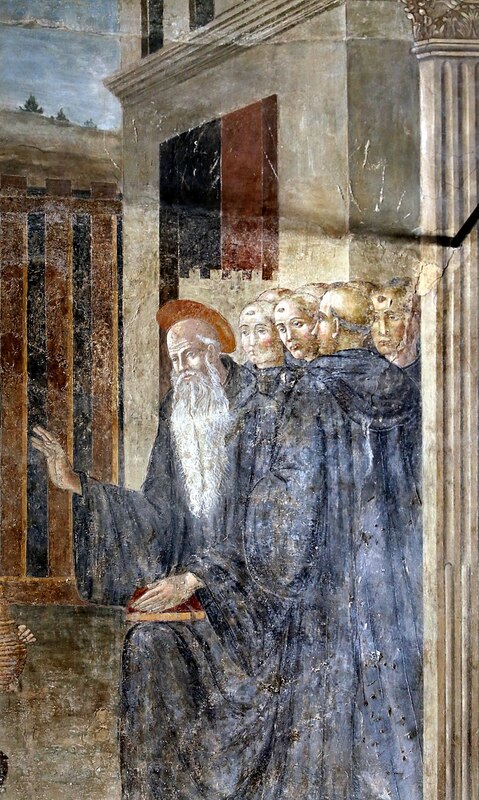 Today, Saint Benedict says, “Let not an easy entrance be granted, but, as the Apostle saith, ‘Try the spirits if they be of God. 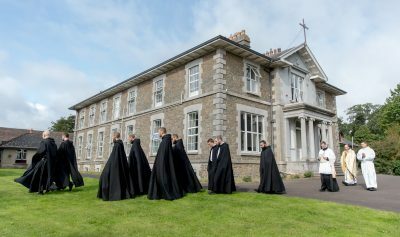 '” There are three sorts of aspirants to our monastic life. These three sorts correspond in some way to Our Lord’s parable of the seed. Our Lord scatters the seed of a monastic vocation far and wide; one might say that He scatters it almost indiscriminately. The invitation to the monastic life is generous and, in some way, universal. “Those by the way-side hear the word, and then the devil comes and takes it away from their hearts, so that they cannot find faith and be saved” (Luke 8:12). There are men in search of meaning who are, momentarily, touched by a certain curiosity about the monastic life. The devil takes quick note of this and finds ways to take “the word” out of their heart. “Those on the rock, are those who entertain the word with joy as soon as they hear it, and yet have no roots; they last for a while, but in time of temptation they fall away” (Luke 8:13). These are the shallow men given to sudden fits of fervour; in a rush of pious enthusiasm, they announce to all and sundry their resolve to enter the cloister. They make their plans and pursue their dream until they discover that the monastic way engages a man in a real death to self. As soon as they experience temptations, their resolve is shaken, their enthusiasm evaporates, and their generosity dries up. The tragic poignancy of this account is that Jesus looked into him, and loved him, and still he went away. Jesus autem intuitus eum, dilexit eum. He went away sorrowful, for he had great possessions. Our Lord speaks of “the cares and riches and pleasures of this life.” I have known promising monastic vocations that were choked and snuffed out by cares, anxieties, and mistaken notions of one’s indispensable duties to family, diocese, parish, career, or friends. Similarly, I have known men who might have become happy and holy monks had they been able to renounce the pleasures of this life: dinner in lovely restaurants, travel, holidays with family, solitary walks on the beach, a motorcycle, a car, a finely furnished flat, an opportunity for higher academic pursuits. “But that on the good ground, are they who in a good and perfect heart, hearing the word, keep it, and bring forth fruit in patience” (Luke 8:15). Here the fruitful vocation, the seed that falls into a noble and generous heart, is presented in three stages: the first is the hearing of the word; the second, the keeping of the word; and the third, the patience required for the fruit to grow and come to maturity. For the first, a man must become silent and dispose himself to listen to the Word of God in prayer and in all of life. For the second, a man must repeat what he has heard, store it away in his heart, and return to it often. For the third, a man must be patient and not look for the fruits of autumn in the first days of spring.